School’s back in session and with the hustle and bustle of a fresh year comes a high amount of foot traffic in the halls. Terrazzo is a top choice when it comes to flooring in places such as airports, hospitals, and – you guessed it – schools! Terrazzo flooring can withstand a great density of wear and tear, making it a no-brainer when looking to install new flooring. With terrazzo, your design options are truly limitless. You want your school’s mascot? We can do that! The name of the school? Easy! This customization factor is only the beginning, as terrazzo has many more other benefits in a school environment, such as longevity, durability, and ease of maintenance. That said, it’s important to take into consideration proper floorcare and floor restoration to extend the life of your terrazzo. One of the main products we recommend when installing or restoring terrazzo flooring is our KCI Natural Finish. Many types of flooring lose their sheen and luster as time goes on, but with our KCI Natural Finish, your floors will stay beautiful all year long. The product we use on our floors is a great alternative to the traditional sealer, which isn’t the best option for high traffic floors due to wear and potential scuffing overtime. The KCI Natural Finish System is a mechanical finish, specifically formulated for Terrazzo flooring. Our easy, two-step procedure eliminates the need for topical sealers, stripping, and resealing – saving you time and money. Topical sealers simply coat the floor, often drowning out the natural beauty of the decorative aggregates in your terrazzo floor. In addition, the heavy gloss of topical sealers can often accentuate defects in the flooring and offer little protection over the life of the floor. Our process is designed to fortify the surface using the natural components of the stone and help to harden the aggregates in terrazzo, creating a protective barrier against wear, scuffing, and dirt. 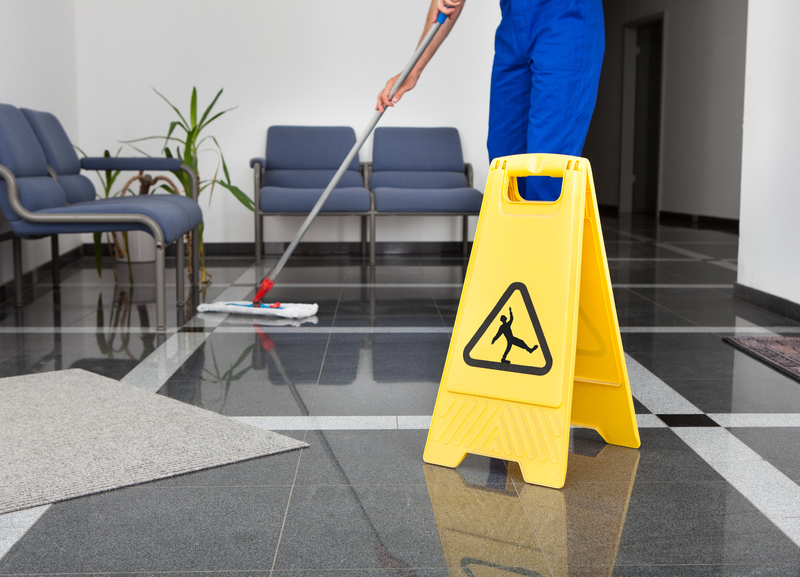 In conjunction with normal maintenance, our proven system should give you 5-10 years of cleaner and brighter floors than that of sealing and waxing. While students are trampling down the halls of your school’s beautifully protected terrazzo floors, our own KCI classes have started too! Maintenance Departments from the country’s largest school system, such as Syracuse have started training on how to implement KCI products and procedures throughout thety. We’ll share more on that in our upcoming blog post. To find out more on KCI Natural Finish and other additional cleaning products, visit our Klein & Co. website. Have questions? Or not quite sure where to start? Fill out our contact form and one of our trained professionals will get you the answers you need!